Daniel and The SC spent many hours together during the year, creating photos for Style Crone and learning through new experiences. Sometimes we discovered sites in Denver that provided interesting backgrounds or we stayed close to home. The location didn’t matter! Rather, it was the fun and laughter that sparked our creativity. Thank you Daniel, for another year of glorious good times! This post will revisit a few of the highlights on Style Crone that made my life sing in 2015. Mr J and The SC began the year in Miami, enjoying the sun and the warmth, the people and the thrills of the city. Meeting up with Patti of Not Dead Yet Style HERE added to the fun. Daniel and I collaborated on a series of photos at Mod Livin’ HERE, playing with backgrounds and the mid-century modern furniture and accessories available on the store floor. Hat Attack continued with its 29th post in December. Thank you to all who participated and shared your gorgeous headwear! The photo above features a hat by Heather Stoten Millinery HERE from Boulder, CO, who stunned me with her skills and artistry. Ari Seth Cohen of Advanced Style HERE and designer Fanny Karst HERE collaborated on the creation of the “Old Is The New Black” tee, which was seen worn proudly across blogland and Instagram in all of its glory. The final post in the “gown series” was featured during the winter, but the series could re-emerge at a moments notice. There are more pieces that have been yearning for an outing! My beloved daughter Camille married her husband Sean in May, and I couldn’t be more happy. I welcomed this event in the cycle of life, sweetened with hope and new beginnings. Mr J and The SC traveled to NYC, and the delightful blogger meetups included Jean and Valerie of the Idiosyncratic Fashionistas HERE, Ari Seth Cohen of Advanced Style HERE, Jean of Dross Into Gold HERE, Carol of Femme et Fleur HERE, Feda of The Eclectic Photographer HERE, Debra Rapoport of Debra Rapoport.com HERE, Lyn of Accidental Icon HERE, and Patti of Not Dead Yet Style HERE. I met the kind and talented photographers Eva Weiss HERE and Denton Taylor HERE. We also greeted many new friends and embraced kindred spirits from the past! The trip to Aspen with Mr J was filled with mountain beauty, delicious food, unique thrifting and interesting people watching. The summer flew by in a flurry of street art and the exploration of new venues. I was graced with visits from Sarah of saramaijewels HERE from Australia, Jean of Dross Into Gold HERE from Atlanta, and Sylvia of 40+Style HERE from Singapore. Blogger and Instagrammer meetups are always enlightening and inspirational. I discovered a new hat at a thrift shop during my trip to Minnesota. It looks like I’m still adding to my collection! My passion for yoga grew stronger. As one of my teachers stated, “Shaking is where the change takes place.” I’m taking that concept off the mat in 2016, as I plan to take myself out of my comfort zone and explore new possibilities. Mr J and The SC continued to live life fully and with intention into our 70’s. Susan Wick’s HERE art exhibit at the Boulder Museum of Contemporary Art HERE, Wild Women Never Get The Blues, offered a venue for laughter and visual wonder. Debra Rapoport of Debra Rapoport.com HERE was in Denver for our friend Susan Wick’s show, and presented “Cuffs,” a workshop that was attended by a group of creative people from Denver who enjoyed every moment. I grew my hair out from red to silver, and found the transition to be life affirming and exhilarating! Thank you to the talented Charlie Price HERE for my new hair style. Thank you to all who follow and comment on Style Crone. I read every word with appreciation, and am grateful for your support. Style Crone wouldn’t exist without you and I look forward to the adventures that unfold in the new year. Wishing each and every one of you the very best in 2016. 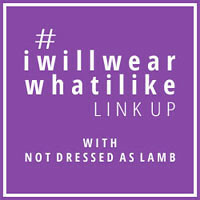 Linking up with Catherine’s #iwillwearwhatilike HERE. THANK YOU and a BIG THANKS TO DANIEL for all his GIFTED PHOTOS!You TWO know how to PRESENT an attire that is NEVER DULL!!!! Beautiful and inspirational. Loved the line “…live life fully and with intention…”. It will be my new mantra! Blessings for you and your loved ones in all the years to come. What a wonderful, adventurous and stylish year you’ve had! So envious of all of your wonderful blogger meetups, and I’m hopeful that we can somehow meet soon! Love the Column, Love the Beauty, Love the Inspiration you share. Enables me to Live Joyfully Again…. May you have Love and Light surrounding you and all those you hold Dearest in 2016. You are an icon! I can see a coffee table book filled with your wonderful photos! Retro elegance and modern mastery all in one. I enjoy your blog so much! I have so enjoyed your wonderful style over the past years, Judith. Your recap of 2015 allowed me to see again a part of what is an exceptional collection. Enjoy life to the full in 2016, Judith. A reader for a few years now, I wanted to take the opportunity to say how much I enjoy your blog–the sentiments of a serene and thoughtful spirit in addition to the wonderful photos; it’s inspirational. The best to you in 2016. I look forward to reading more! As an image consultant for over 25 years now, I am transitioning into the career of a Gestalt Therapist. Will be completing my training with a Masters during 2016. Am loving the journey, despite the challenge of assignments and study. It is wonderful to know my brain still works too. However, I still have clients for shopping and such and I still have to play with my clothes and dress up. Somedays I wonder will I ever loose interest. And then I get your beautiful blogs and I know it’s some of the fire in my belly. Long may we love our dress ups! Happy New Year to you and Daniel. judith, Happy new year to you and thanks for sharing your sense of beauty and charm with us! Such a wonderful year in retrospect! So much fun, joy and love squeezed into one year. All the very best in 2016. Your photo retrospective is so exciting, Judith. There is so much energy here and it seems crowned, so to speak, by your hair. The collaboration between you and Daniel is wonderful; the camaraderie shines in these photos. That was a nice review of a beautiful year. You sure don’t get bored. What a ful life. You have such a knock out blog. If you get a chance, please stop by my Senior Salon on Wednesday and consider participating by linking your post. You would be a fabulous asset. Love your life lived outside the cage! You so inspire me to dress better! I love the photo of you and your daughter at her wedding. You look so chic and gorgeous without looking old and frumpy. Loved seeing some of your looks that I hadn’t seen before. Oh what a fabulous year!!! I think the photo with Frida is my favorite. You have a very nice 1920’s vibe going on which I love. Job well done by both photographer and lovely subject. Thank you Style Crone for showing the world how lovely and exciting women can be well after their youth! In my opinion, women such as these are far more interesting to spot on the street …I am always scanning my city for one! It makes my day! Happy New Year! You are so cool! I love your style…it inspires me. What a wonderful post dear 🙂 I wish you a happy healthy 2016 with lots of fun! Debra Rapoport In Denver In Celebration of Susan Wick’s Art Opening!